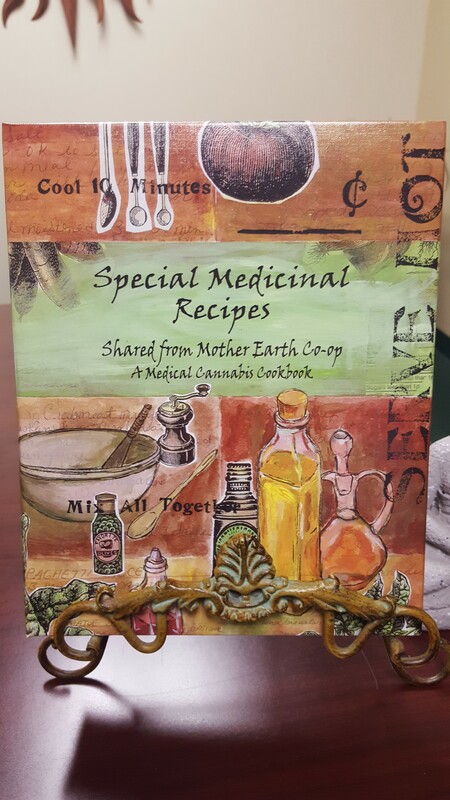 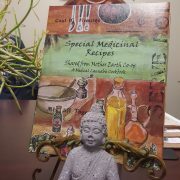 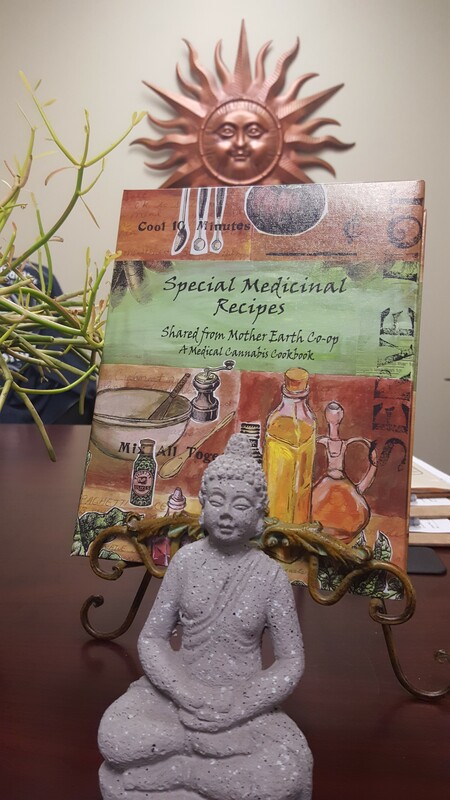 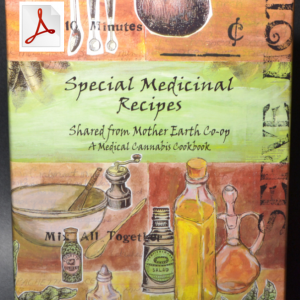 Mother Earth Co-op is proud to share a treasured collection of the finest therapeutic recipes from our medicinal kitchen. 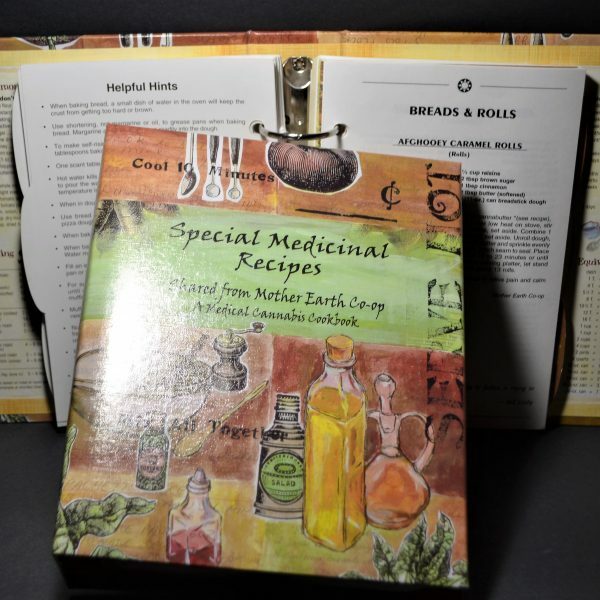 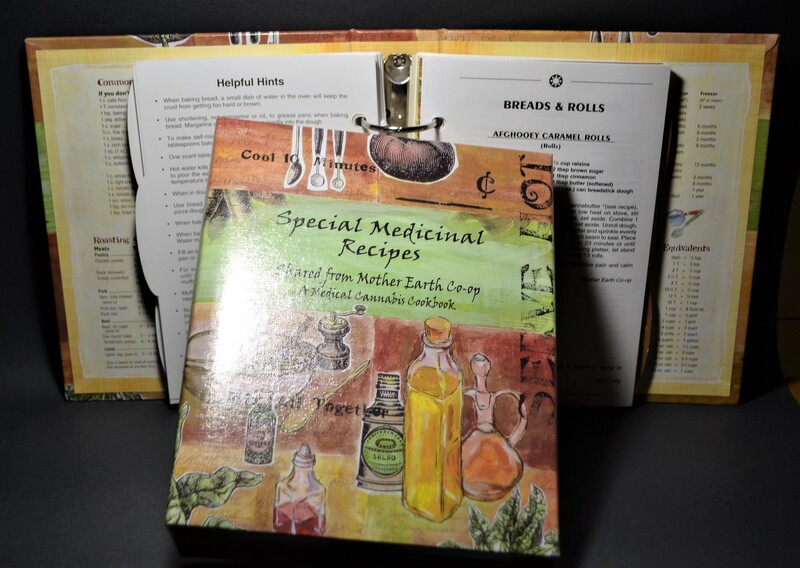 This attractive cookbook is in a padded 3-ring loose leaf binder that comes with an easel book-stand which securely holds your cookbook open and upright for hands free cooking. 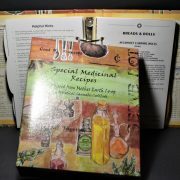 The easel conveniently stores inside the 3-ring binder. 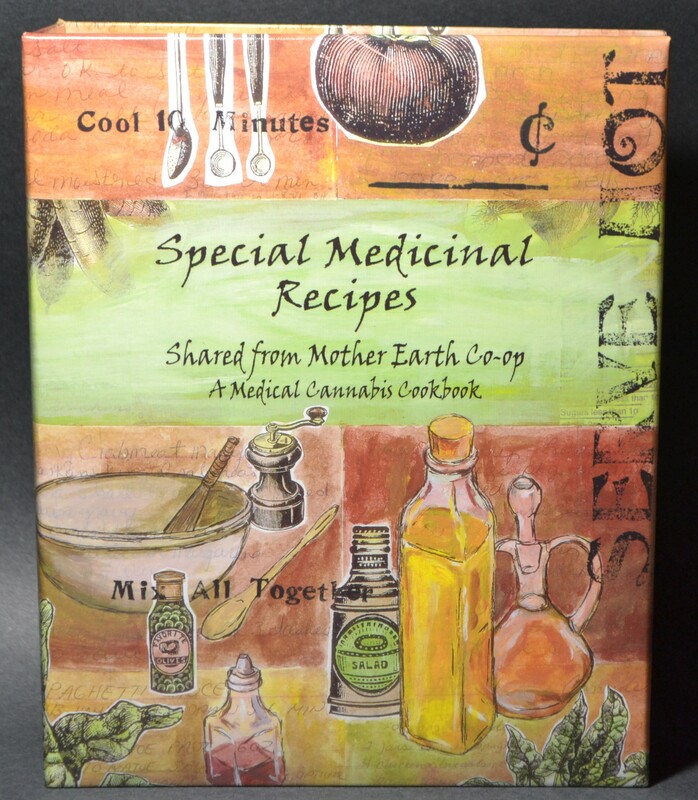 This makes an ideal gift or keepsake. 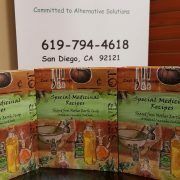 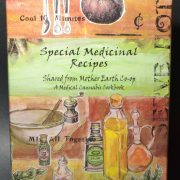 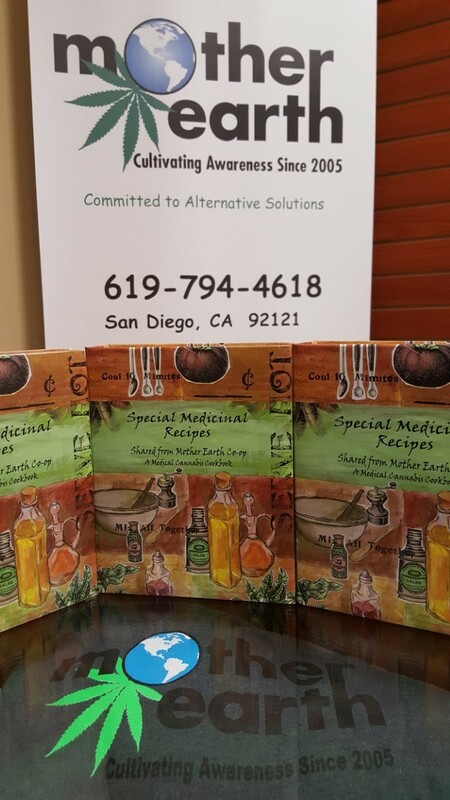 The one of a kind cookbook, contains 420 well loved medical cannabis recipes including: History of marijuana, how to make cannabutters, cannaoils, tinctures, appetizers, main dishes, soups, salads, desserts and many other medicinal remedies. 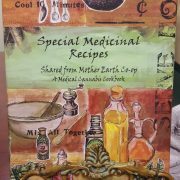 Proceeds from this unique cookbook will be donated to the following organizations: breast cancer, cancer, aids & hiv research, Mama’s Kitchen and Friends for Pets.